©Fabrice Junod / Fondation Hirondelle A young refugee in the Jamtoli camp in Bangladesh, during the listening test of Fondation Hirondelle's new information program. In June 2018, Fondation Hirondelle became the 26th partner of Swiss Solidarity, a humanitarian foundation that collects donations for the benefit of people in distress. A partnership that emphasizes the vital importance of access to information in humanitarian crises. The need for reliable, credible and impartial information is often vital for people affected by humanitarian crises. Information on access to vital services provided by humanitarian organizations, the need for dialogue and to make one's voice heard, the need for comfort: appropriate and reliable media or media programs can help respond to these needs. They can provide reliable, real-time, far-reaching information that improves the humanitarian response, counter rumors, and help reorganize everyday life. They can also alert local authorities and support their initiatives and those of the international community. These media then participate in the reconstruction of social bonds. They create spaces for dialogue and strengthen solidarity between groups. -Communicate: produce and broadcast important, sometimes lifesaving information and awareness raising messages. - Dialogue: foster, through dialogue and interactivity, trust and feedback between populations, humanitarian actors and authorities, to reinforce the participation of the affected populations in relief efforts and the accountability of humanitarian organizations. - Evaluate: analyze media landscapes, information needs, and means of communication and their impact; measure the effect of media programs on populations. This experience and approach were recognized in June 2018 by Swiss Solidarity, which made Fondation Hirondelle its 26th partner. "The right to information is fundamental for people affected by disaster, as much as the right to medical care, decent housing, food and education," said Tony Burgener, Director of Swiss Solidarity. For this reason, it is crucial for Swiss Solidarity to be able to count on a partner specialized in the field of information that educates populations about their rights and obligations and that also allows them to express themselves. Fondation Hirondelle is also a resource for all the other NGO partners of Swiss Solidarity, which will be able, thanks to the programs of this Foundation, to pass on information essential to the successful implementation of their projects and thus to improve their impact." 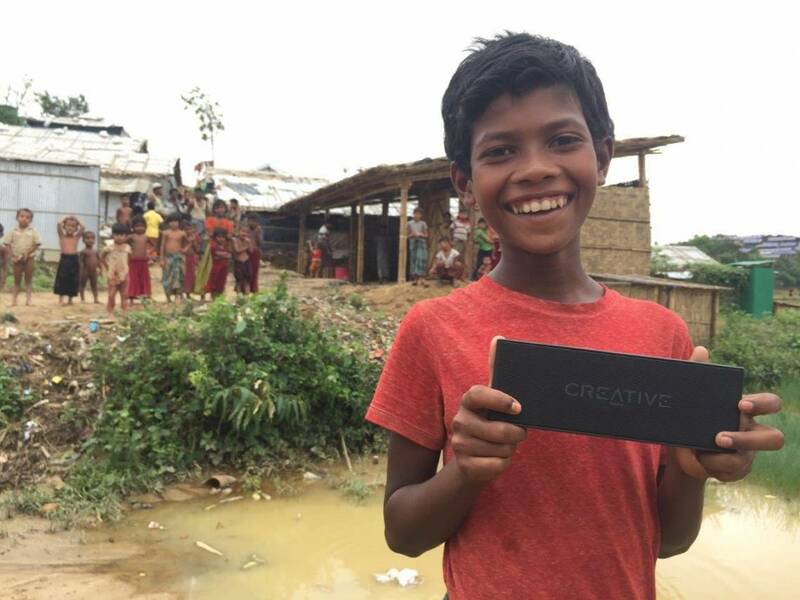 Fondation Hirondelle is currently receiving Swiss Solidarity support for a project underway in Bangladesh to provide information by and for the Rohingya refugee population in Cox's Bazar, in partnership with Christian Aid.